Teaching English abroad might be the best solution if you travel and want to earn some extra money. But before you decide to change your career, do your research on the country you want to go to. 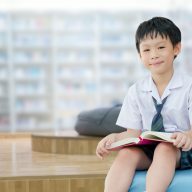 Most of the schools in the world require their foreign employees to have a TEFL certificate. There are lots of courses out there and it can become a nightmare to choose the best one. 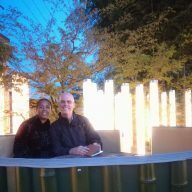 It took me a few weeks to read reviews and send emails to various places in Thailand. 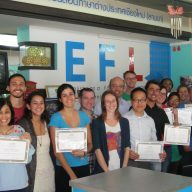 I knew what I wanted from the course and I think I chose one of the best possible options – SEE TEFL in Chiang Mai. My 4 weeks course was intense, but so rewarding. I have a feeling that I spent my money in a good way. 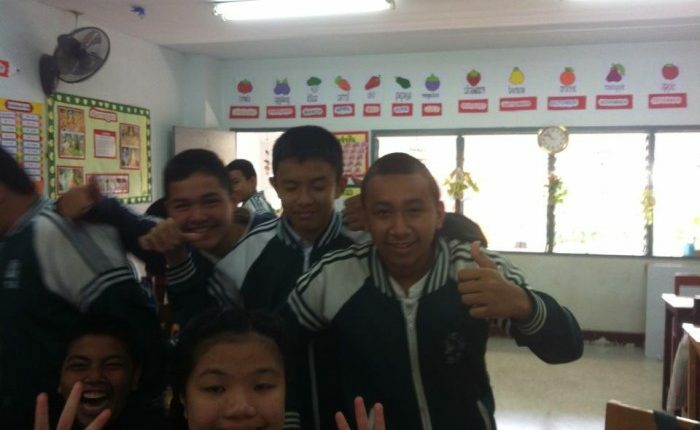 SEE TEFL helped me to find a job, sorted out my visa and work permit and looked after me for 3 years. I am very grateful that I found them and sign up with them, but deciding on which course to choose wasn’t easy. I learned from my experience a lot, and I’m here to help you out to do the same. Below are a couple of points that I found particularly useful. Think about your expectations. What do you want to get out of the course? Do you want to spend 4 weeks on the beach, sipping cocktails and occasionally study (which sounds nice, I admit), or do you want to learn something and become a good teacher? You can sign up for a TEFL course online. Some colleges in England and other Western countries provide 4 weeks courses and they seem to be very popular as normally students trust them more. However, if you want to go and teach in countries like Thailand it is better to study there. The reason is simple – Thais want to employ people, who are culturally aware, they know how to ‘wai’, how to behave, who the ‘pou yai’ is etc. etc. Your TEFL course in Thailand should have one day cultural awareness day, where they teach you all those things. I highly recommend SEE TEFL. They really look after their students and try hard to teach them the most important things and prepare them for their future jobs. Thanks to them I found my first position in less than a month and I didn’t have to think about my visa application, nor work permit. 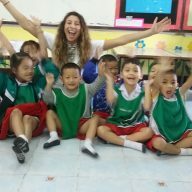 Read more about my experiences with SEE TEFL. Go to Ajarn.com, which has a lot of good advice. If the company you’re thinking of signing up with is not on the website, then maybe you should go for something else. Visit the website of the companies. Read what they are offering. Usually the course shouldn’t be shorter than 3 weeks. It is even better if it’s 4 weeks. Do they have any teaching practices included? If so, how many hours and where exactly? The more variety there is the better. The teaching practices should include teaching all age groups, from kindergarten to adults. Does the company offer to book you accommodation and help with visas? Do they have photos of graduates? Do they use social media? If so, follow them and check what kind of information they put there. Contact the companies with inquiries. Ask about everything, even if you think it’s silly. If they reply and you feel like they sent you a generic email then cross them off straight away. You want a personalised message that seems to be written just for you and answering all your questions. Ask the company to give you contact details for the previous graduates and email them. Most of the companies ask their students for permission to contact them in case they have any questions. Ask them how hard it was for them to find a job, was the course worth the money etc. I am a member of SEE TEFL Affiliate Programme. 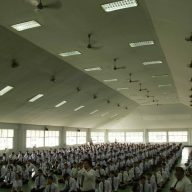 As mentioned before, I did my course with SEE TEFL in Chiang Mai and the course not only taught me about Thai culture and about useful methods of teaching, but it also found me a position at one of the schools. I highly recommend doing your TEFL course with them. If you found this article useful, please mention my blog when booking your course, or reserve your place through this link.